The use of alcohol in automobiles started as early as the 1930s on spark ignition engines. In the case of its use on compression ignition engines, the perfect recipe is still being researched on. However, through our close collaboration with engine makers, class societies as well as the academia, we have created a fuel mixture that comprises methanol, dimethyl ether (a cetane improver) and lubricant such as castor oil. DME facilitates use of methanol as a fuel, as otherwise the cetane level of methanol is too low for burning in a compression ignition engine. Lubricant is introduced to allow use of the fuel mixture in existing ship engines as it improves viscosity, typically diesel engines and conversion of the ship’s engines for use with the fuel mixture is a relatively straightforward matter. 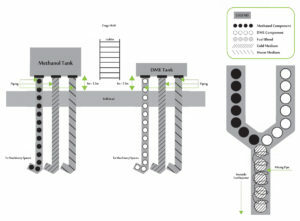 The core of our techniques is to ensure a cooled environment for safe use/storage of LFL fuels as well as thorough mixing of the different fuel components for safety and economics reason. Arguments against use of new fuels is largely related to the lack of bunkering infrastructure. 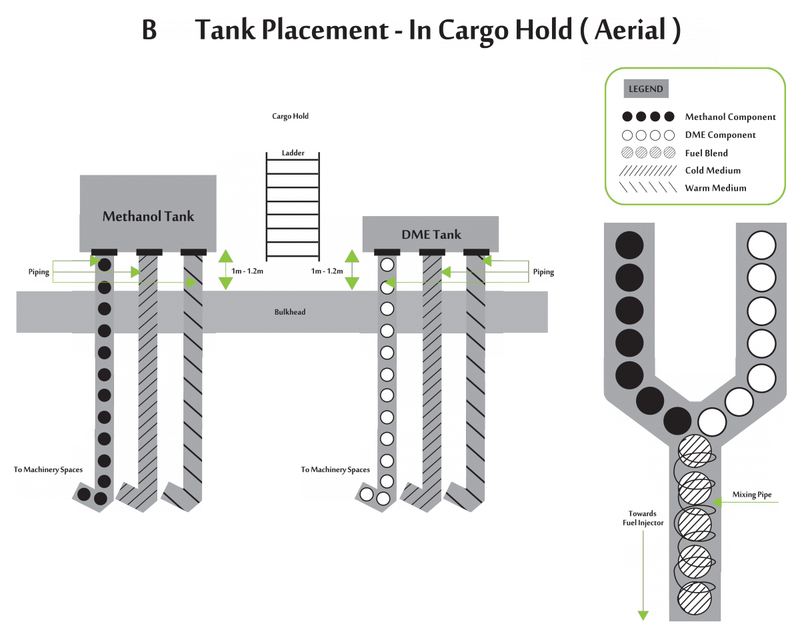 Though this is the case more applicable for LNG as it needs be transported as liquid and regassified for use. In the case of methanol, it is a liquid at room temperature and has very low vapour pressure when its temperature is low. This means with minimal conversion, LFL fuels may be distributed on existing infrastructure. 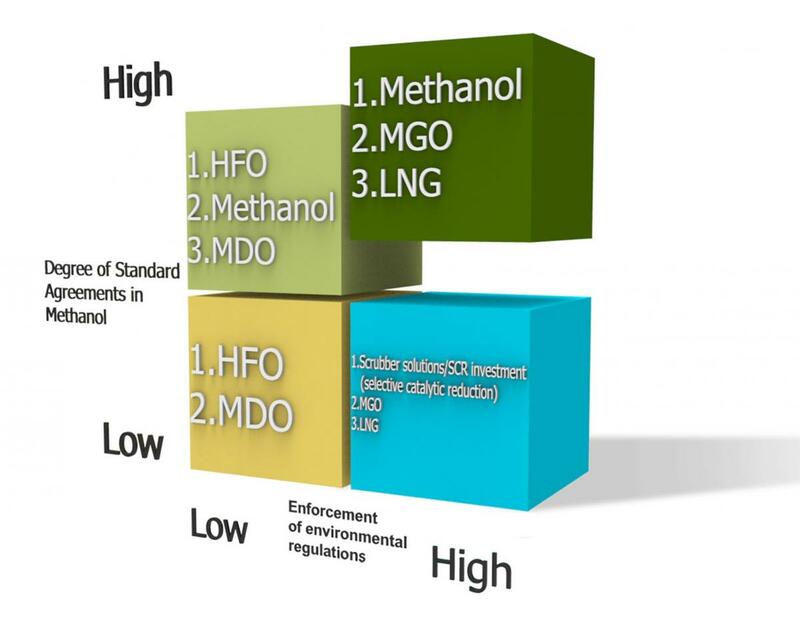 We believe the most practicable scenario is for LFL fuels and crude derived fuels to be used interchangeably. As a starting point, portable tanks can be first employed. 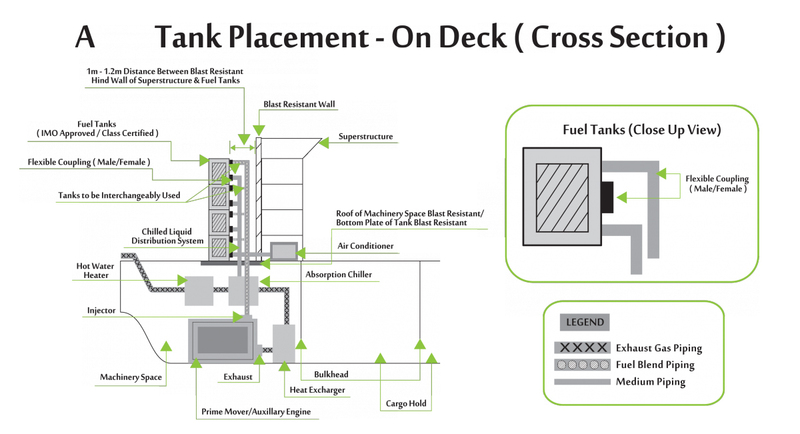 One particularly suitable form of tank is an ISO tank (subject to IMO approval and Class approval), especially when LFL fuel is not available as a bunker fuel at a port of call. 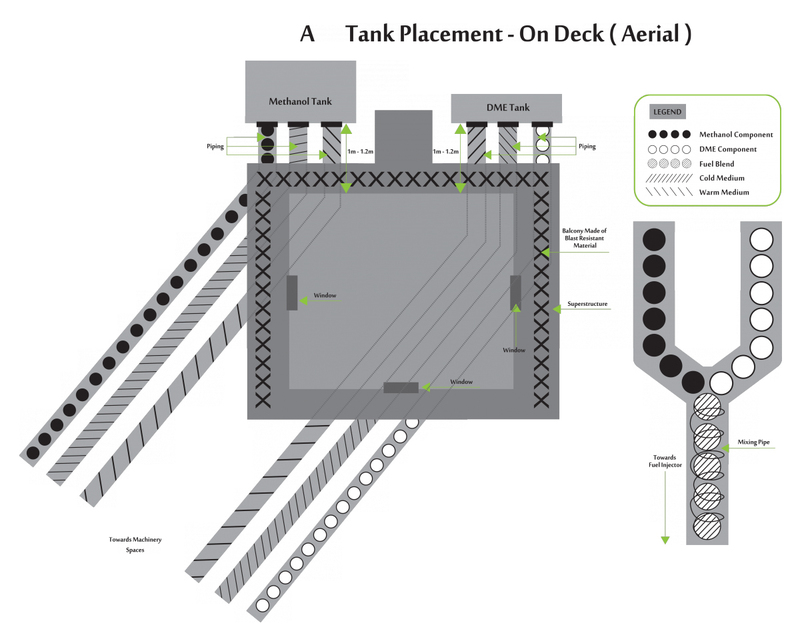 LFL fuel may be filled at a production plant and shipped to port, and then put on a ship via harbor cranes. 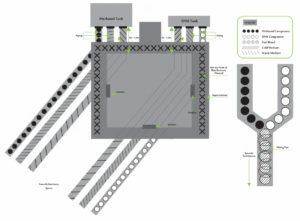 As seen from the video and diagrams (refer to below), these tanks will be connected into a chilled liquid distribution system using flexible pipes and couplings, preferably made of stainless steel and neoprene rubber lined or other LFL resistant materials.